SnipSnap App Review... Will it Save you Money? When it comes to saving money, you’re basically going to have one or two options. You can either buy less stuff (which isn’t much fun!) or you can spend less money on the stuff you do buy! We’re always a fan of getting more for your money than having to go without! This is why we like the “idea” of using the SnipSnap app and why we chose to write a SnipSnap review so that our clients can determine if it’s something that might help them save a few bucks. Now for those of you who are too young to remember, back in the “old days” if you wanted to use a coupon in a store, you had to first go through your mail or your local newspaper and first search through the “coupon” section. From there, you would need to actually cut the coupons out and typically keep them in your “coupon pouch”. You got to the everyone’s favorite person in the checkout line when you would have to sort through your “pouch” and find the exact coupon for the exact product and “hope” that the coupon hadn’t expired from the time you actually cut it out of the paper till the day you actually used it! The whole process was AWESOME! Which is why the SnipSnap App has become so popular. You see, the SnipSnap allows you to quit “cutting out” coupons and keeping them in your “coupon pouch” coupons to instead just be able to digitally “track” coupons that are posted on the internet! Ted Mann is the founder of SnipSnap. He started the company in 2011. It got a lot of attention early on when it was part of an incubator called DreamIt Ventures, helping it to get more than $1.5 million in funding. Later on Slyce bought SnipSnap for $6.5 million. Sound like a lot in today’s “TechWorld”, but we’re sure Ted isn’t complaining (good for you, Ted!). Some of the benefits that you’ll find by using SnipSnap is that it’s going to make you coupon collection process a whole lot easier, particularly if you’re still cutting coupons out of your local newspaper or daily reader. Keep all your coupons in one place rather than having coupons – even digital ones – scattered around. Digital coupons tend to show up in their own app, making it hard to remember when you have them – and when they’re going to expire. Think of all the times you’ve spent money on something only to remember later, “Oh! I had a coupon for that!” It’s a real bummer, a bummer that SnipSnap helps you to avoid! SnipSnap sends you a notification every time your coupons are near their expiration date. That way you can use them before they go wasted. 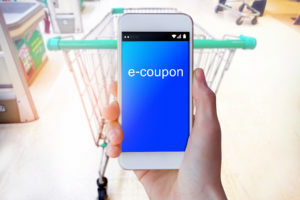 This is a great feature that can help you make the most of your coupons, and thus save a lot of money that you would have otherwise missed out on. Another cool feature of SnipSnap is its ability to allow you to “share” a coupon. So, if you see a deal you know your friend will love? You can send a SnipSnap coupon over to whoever you’d like. And this way everybody wins! In a way, this can be sort of like crowdsourcing deals from your friends. In order for this to work, you’ll need to get a few of your deal-loving friends to start using SnipSnap too! Remember when you used to clip a coupon for your favorite cereal and redeem it anywhere you felt like it? That’s not how SnipSnap works. Instead, SnipSnap offers coupons for places not things (think: A coupon for $1 off a product at Walmart rather than $1 off granolas bars that you can choose to buy at Walmart or Target). The possibility that all this coupon clipping will actually make you want to spend MORE money. Perhaps you’ll buy things you don’t need simply because you are getting them at a discounted rate. This is the part that falls on you and your own responsibility. Why is TermLife2Go writing a review for SnipSnap? This is a good question! And one that we have no problem answering. You see here at TermLife2Go, our primary goal is to help our clients achieve financial security for their loved ones. Happen to believe that purchasing a life insurance policy is a great way to do that(just in case you’d like to compare Term Life Insurance Quotes), but we understand that there are other ways to achieve this goal as well. In fact, we have a bunch of articles written on quite a few other ways one can potentially improve the financial security of their family. Don’t have to worry about is whether or not we receive any “compensation” by recommending or not recommending SnipSnap, because we don’t. It really doesn’t matter to us if you choose to check out SnipSnap out or not, all we want to do is bring to your attention that there is an app called SnipSnap that could help you save some money on things that you’re already planning on purchasing. It would be “inappropriate” of us not to mention some of the other “issues” that seem to be circulating about SnipSnap in that, in some cases, sharing, duplicating and/or copying some coupons can violate the rules and regulations of that coupon. This is particularly true if your dealing with a “manufacturer” coupon vs a store coupon. Is the SnipSnap app right for you? Who knows, but its free to download and free to use, so why not give it a try, it can’t hurt. Next Post: Living Social App Review… Are those deals legit?